Juanita L. Biffar, 31, of Columbia, was arrested on an instate warrant at 531 S. Main Street. Douglas B. Hicks, 48, of Columbia, was arrested for battery at 229 S. Riebeling Street. A 2-year-old passenger was transported to St. Anthony’s Medical Center following a single-car crash that occurred around 4:30 p.m. on Admiral Parkway (Route 3) southbound just north of Veterans Parkway. A Toyota Corolla driven by Sarah McCarty, 34, of Swansea apparently swerved to avoid a deer in the roadway and ran off the road, causing the car to overturn. Robert P. Davis III, 29, of Columbia, was arrested on a Monroe County warrant. Joseph D. Silva Jr., 21, of Columbia, was arrested for public intoxication, resisting arrest, possession of drug paraphernalia and criminal trespassing at 602 N. Main Street. He was also charged with criminal damage to government property, that being a wall inside the Columbia police station. Silva was later charged with aggravated battery of a correctional officer at the Monroe County Jail. 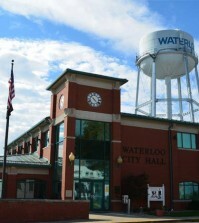 Matthew Hurley of Waterloo was arrested on a probation violation. Brandy Redwine of Waterloo and Frank Zdanowski of Columbia were each arrested on in-state warrants. Upon his release from the Illinois Department of Corrections in Chester, David Shockley was arrested on Monroe County warrants for home invasion and domestic battery stemming from a March 2012 incident in Renault during which Shockley’s girlfriend shot him multiple times in apparent self defense. A report of criminal damage to property at 5282 J Road is under investigation. Vulgar messages were reportedly spray-painted on the side of a house. 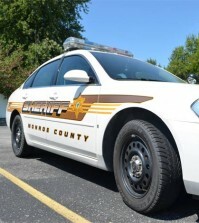 A report of telephone harassment on East Back Street in Hecker is under investigation. Deputies responded along with the Prairie du Rocher Fire Department to a report of smoke inside the home of James Zeiger at 5677 VV Road around 9 a.m. There was no damage to the home, and no injuries were reported. Jason Pruitt, 27, of Waterloo, was arrested for DUI, no insurance, improper lane usage, one headlight and use of unsafe tires on Route 3 at HH Road. Byron Dale King, 55, of Arnold, Mo., was arrested for felony retail theft (more than $300). 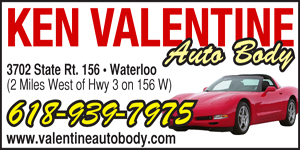 The alleged incident took place June 11 at the Waterloo Walmart, and involved the theft of a 60-inch Visio flatscreen TV. Bond was set at $25,000.